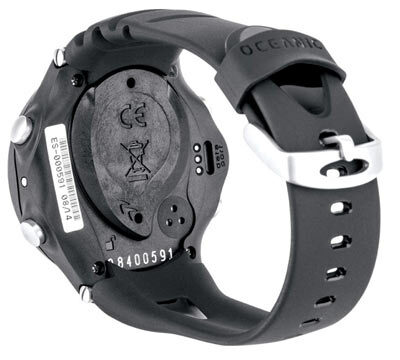 Now available: Version 3 Oceanic F.10 Freedive Watch, the best dedicated freediving watch on the market today. The F.10 dedicated freediving watch comes equipped with everything you'll need for one deep breath. Provides digital depth, elapsed dive time on the surface and underwater, and a generous collection of customizable audible and visual LED alarms and interval prompts for ultimate performance and safety. "The Oceanic F.10 was designed by freedivers for freedivers. 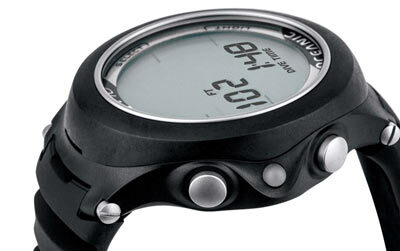 It has many freediving specific features including a wide variety of convenient alarms. It's ideally suited for all types of breath-hold diving, spearfishing or freediving, recreational to competitive. I've personally been diving with this computer for the past 14 months and find the repetitive depth alarm to be of specific value as it can track each atmosphere. The F.10 also features a surface interval alarm which is very beneficial during my interval training for competitive freediving. It has a unique safety feature of an on-going stopwatch so whilst in-water my running time does not get erased if the computer becomes submerged- unlike with any other freediving computer. Right now, this is simply the best freediving computer on the market- period." Note: The Oceanic F.10 requires an optional, special USB cable to connect your F.10 to your PC. The cable is available here and the software and drivers can be downloaded here. MAKO SPEARGUNS is an Authorized Oceanic Dealer. Unfortunately, not every business that advertises Oceanic products is an Authorized Dealer. Products not purchased from an Authorized may not be authentic, complete or have all the latest design and production updates and may have been tampered with. If you purchase products from a non Authorized Dealer, neither Oceanic, nor an Authorized Dealer is obligated to offer you warranty service program coverage. Feel free to contact Oceanic directly to confirm MAKO SPEARGUNS is an authorized Oceanic Dealer. The Oceanic F.10 User Manual is available for download here. Tutorial video for the F.10 Watch Mode using the eDiving scuba diving simulator. Tutorial video for the F.10 Dive Mode Surface Displays and Menu Settings using the eDiving scuba diving simulator. Tutorial video for the F.10 freedive mode including main and alternate displays using the eDiving scuba diving simulator. Having a dive watch is a game changer. Makes you way more comfortable in the water which reduces oxygen consumption. This was the best watch I could find for freediving within my price range. I'm going to give this watch a 5 star review but I do have one complaint. The Manuel tells you how to set each of the settings but it does not tell you what the settings does or means. I have guessed on a few of them. The Manuel is a little frustrating so I got my wife to set up the watch haha. I would suggest Mako make a short video on each of the functions as I could not find any information online. This is the second one we have purchased. I acquired this one for my girlfriend since I have enjoyed mine so much. Awesome product and great customer service! Mako is my first stop when looking for spearfishing gear! Had an awesome experience! Ordered the oceanic f10 watch over the phone from a blustery dune top in Baja California! The sales rep was patient and cooperative with me the get the order placed in the nic of time! Super stoked and hit new records with the watch diving 85ft for grouper and pargo on this trip! Cheers boys! Love the watch this is my second one, the first I gave away. It does everything I want and more. What really stood out was the customer service of Mako. I wish I could remember the guys name who helped me and shipped the watch same day so I could have it from my spearfishing trip! Way to go guys you knocked it out of the park.